Bones Howe, producer for The 5th Dimension. Billy Davis, Jr., Ron Townson and Lamonte McLemore grew up together in St. Louis during the early to mid-40s. Billy sang in several gospel groups before migrating to Los Angeles hoping to find his path to stardom with a recording contract. Ron sang opera at an early age and moved to Los Angeles after graduation from Lincoln University. Lamonte was a baseball prospect and aspiring photographer before a stint in the US Navy set him on his path as a singer. Lamonte met beauty contest winner, Marilyn McCoo while photographing her during the Miss Bronze Talent contest in 1963. Impressed with her singing talent, McLemore invited McCoo to join him and Harry Elster and Floyd Butler in a vocal group called the Hi-Fi’s. Among their early work was opening for Ray Charles. Elston and Butler saw better opportunities and left the group to eventually form another group called the Friends Of Distinction. By 1965, McLemore found two more members for the group, boyhood friend Ron Townson and Florence LaRue, the talent winner in the 1962 Miss Bronze California pageant whom he also photographed. When Davis joined the group in 1966, their name was changed to the Versatiles. The group auditioned for Motown’s Berry Gordy, Jr., who liked the group but passed over them, as they didn’t present the “Motown sound.” Marc Gordon, a West Coast manager at Motown was impressed enough to offer his talents as the group’s manager. With Gordon hired, the Versatiles had someone in their corner who could open doors. Among his first stops was recording star, Johnny Rivers. Rivers, who knew the big money in the music business lay with the labels and the publishers, started his own label, Soul City Records, a subsidiary of Liberty Records. With his newly formed publishing company in tow, Rivers was eager to branch out. The next step was procuring talent. Marc Gordon made the contact with Rivers. Upon hearing the Versatiles demo, he knew the vocal blend had hit potential. There was nothing out there like them. Rivers signed them to a deal with Soul City. Two things were needed to get the group on their way—a new name and a good first song. “You mean the Versatiles?” Billy asked Rivers. “What is it you don’t like about it?” Rivers told Billy, “It has an old sound to it. It’s not hip enough.” So, the group set out to find a new name and a new identity. At a meeting the next day, the “5th Dimension” was the clear winner with a numeral instead of spelling. Marc and Johnny were on board with the name change and set out to find their first record. Rivers decided a song called I’ll Be Lovin’ You Forever by Willie Hutch would be a good fit. The effort received good airplay in LA but never gained traction nationally. Undeterred, Rivers suggested a John Phillips-penned album track of the Mamas & The Papas, Go Where You Wanna Go as their next single. Rivers and the group hit pay dirt. 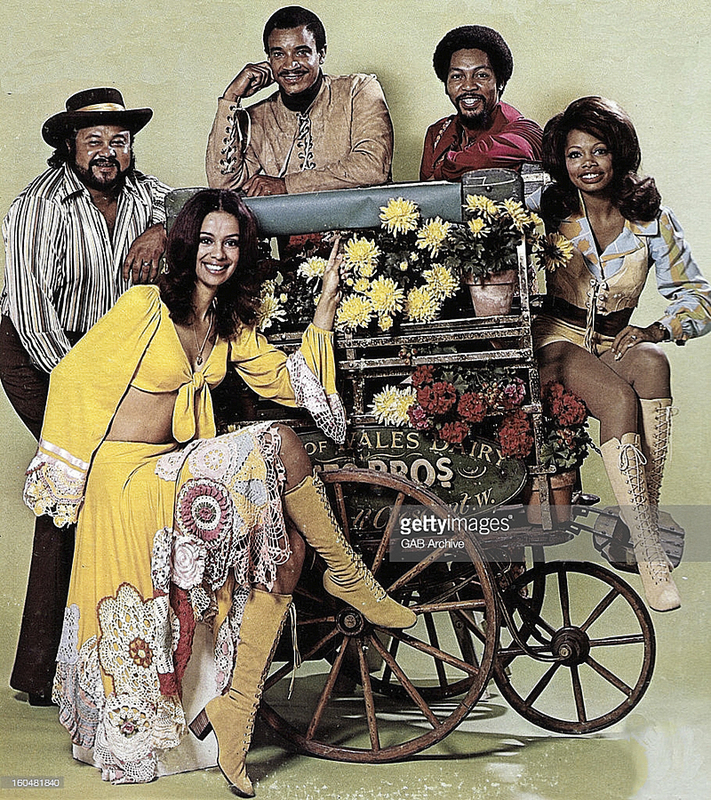 L-R: Florence LaRue, Ron Townson, Marilyn McCoo, Lamonte McClemore and Billy Davis, Jr.
Webb, who was working at a local Hollywood studio, met with Rivers and was offered a job as a songwriter for Rivers new publishing unit. After a quick buyout with his previous employer, Rivers now owned the publishing rights to Webb’s cache of songs. It turned out to be a brilliant move by both parties. It was time for the rubber to meet the road. Webb joined Wrecking Crew regulars—Hal Blaine (drums), Joe Osborn (bass), Tommy Tedesco (guitar) and Larry Knechtel at a session in July of 1966 to record Phoenix for Rivers’ Changes album. The Crew regulars were impressed with the 19-year-old’s studio chops. More Important, he gained their respect. Webb met the 5th Dimension during the fall of 1966 in the studio as the group was putting together songs for their first album. Webb had just spent the weekend in San Bernardino at a balloon festival and had an idea for a song. The working title was Up, Up And Away. The 5th Dimension wanted relevance, to catch the ear of a changing pop marketplace. A song about a balloon wasn’t exactly what they had in mind. Rivers and Gordon had other plans for the next single. They chose Another Day, Another Heartache, a song from their first album, Up, Up And Away as the follow-up to Go Where You Wanna Go. Johnny Mann of the Johnny Mann Singers liked the title tune and as a courtesy, asked Rivers if he had any plans to release it as a single. Rivers, with no plans to release the song as a single and sensing publishing income, invited Mann to cover it. Mann and his singers released Up, Up And Away in May of 1967. The song was well received and started making some noise on the Billboard chart. 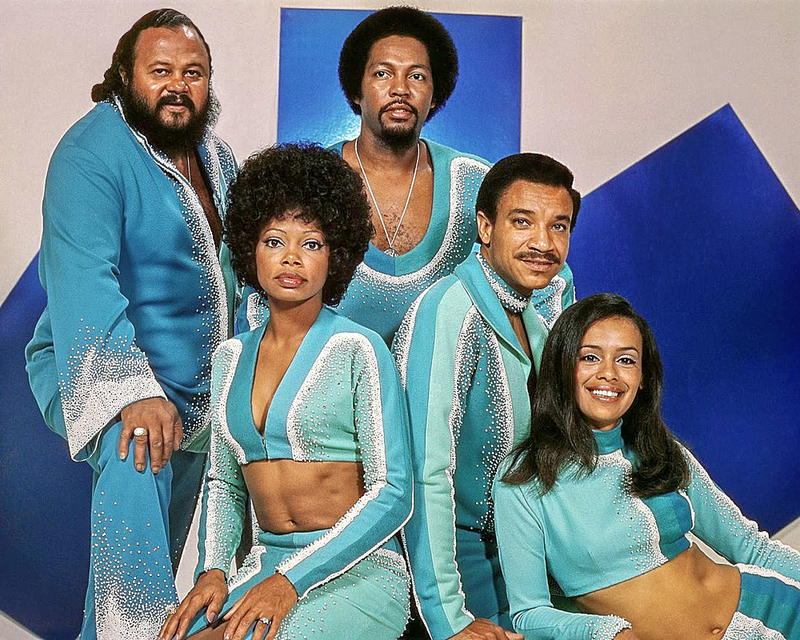 This prompted a meeting with Gordon and the group, after which Rivers opted to release the 5th Dimension’s version of the song as a single. L-R: Marilyn McCoo, Lamonte McClemore, Billy Davis, Jr., Ron Townson and Florence LaRue. Photo courtesy of Gilles Petard/Getty Images. Still, there was enough time on his calendar to produce the 5th Dimension. Howe came across a song by Laura Nyro titled Stone Soul Picnic. "We were looking for a piece of material that would reflect what the group was. I came across the song on a demo tape that David Geffen had taken to RCA. I told David that I wanted to cut it with the group, but he said we couldn't because Nyro was going to cut it on her album. But if they didn't release it as a single, he said it's fair game,” Howe remembered. Nyro’s album was released and the label chose Eli's Coming as the single. Two more singles, Sweet Blindness and Ashford and Simpson’s, California Soul, culled from the Stoned Soul Picnic LP, peaked at #’s 13 and 25 respectively in the fall and winter of 1968 as the album landed at #21. (3) (9) The group has regained some lost momentum before an unfortunate event set the stage for the biggest hit of their career. A short time later, the phone in their hotel suite rang. “Is this Billy Davis, Jr.?” the voice asked. “Yes, it is,” answered a surprised Davis. “I’ve got your wallet. Why don’t you come and get it,” the voice offered. “No problem,” was Davis’ short answer. “Who am I speaking to?” The voice identified himself as Ed Gifford. Davis hopped a cab to Gifford’s address, met the man who explained that he used the AFTRA card to find Davis and where he was staying. With wallet intact and in hand, Davis invited Gifford and wife to the next night’s show. The Giffords happily accepted. Backstage after the show, Gifford raved about their performance. “You guys were great. Now you have to come see my show.” Davis asked, “Your show?” Gifford replied, “Yeah, my show. I’m one of the producers of Hair, the musical playing on Broadway.” (12) Who could say no to that offer? During intermission of the matinee the group attended, the talk was about the opening song, Age of Aquarius performed by Ronnie Dyson. “We got to record this song. It’s a hit!” Davis exclaimed. The other members agreed. When Howe and his wife, Melodie saw the play and witnessed the positive audience reaction to the repeating sequence, he found his muse and said, “That's it! That's the other song! We can put the two of them together!" In plain speak, Howe instructed Wrecking Crew drummer, Hal Blaine to play a series of fills at the end of the Aquarius part which would serve as a segue to the Let The Sunshine In chorus. Howe blended the two sections perfectly without anyone noticing the key change. Using Wrecking Crew members Joe Osborn on bass and Larry Knetchel on piano and guitarists Tommy Tedesco and Dennis Budimir to round out the rhythm section, Howe completed six of eight tracks on tape before heading to Las Vegas to capture the vocals. The group eventually finished the Aquarius vocals. While rehearsing the Let The Sunshine In part, suddenly Billy, who apparently really got into the song, started improvising. Howe knew a solution. “I shut the tape off and I said, 'Billy, just sing your part, I'm going to give you a track all by yourself, you can do as much of this as you want, and we'll put it in where it really works.'" Aquarius/Let The Sunshine In was released in March of 1969 entering the Billboard Hot 100 chart on March 8th. The medley shot up the chart reaching #1 on April 12th where it stayed for the next six weeks. Billboard ranked the song #2 for 1969, trailing only The Archies, Sugar, Sugar for top spot. (3) (4) The song also won the Grammy for the Record of the Year and the Best Pop Vocal Performance by a Group. 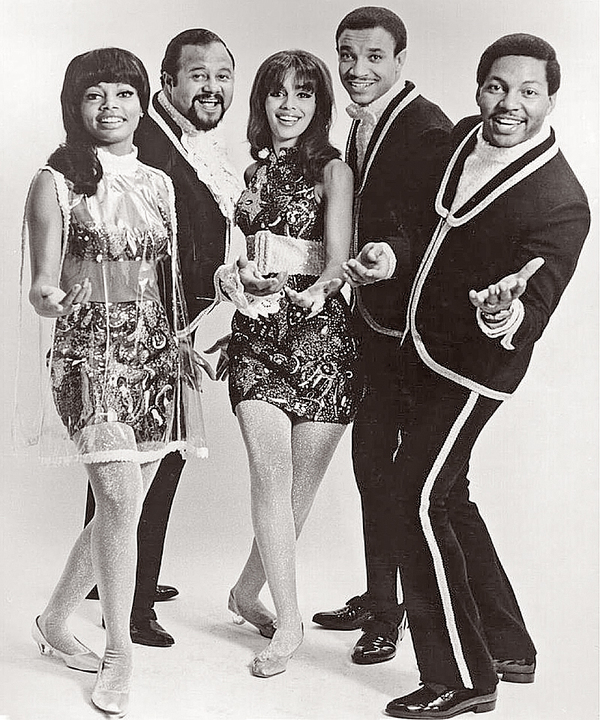 The 5th Dimension placed a total of thirty songs on the pop charts during their ten years together. In 1976, Marilyn and Billy left the group to begin a new chapter in their careers as a duet. They hit the #1 spot with You Don’t Have To Be A Star (To Be In My Show) in early 1977. They still perform together today. The 5th Dimension still tour as a group with Florence being the only original member of the group. 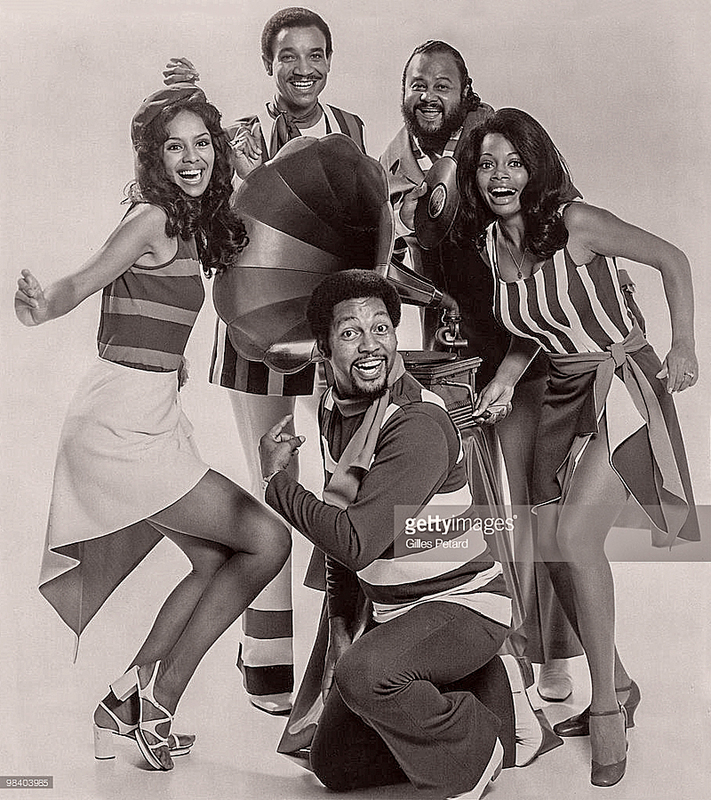 The 5th Dimension sing live to a prerecorded track on This Is Tom Jones, broadcast on February 28, 1969. From The Wrecking Crew video released in 2015. 1) Sound On Sound, Buskin, Richard, Classic Tracks: Aquarius/Let The Sunshine In, February 2006, Link. 2) Yorkey, Mike, Marilyn McCoo, Billy Davis, Jr., Up, Up, and Away: How We Found Love, Faith, and Lasting Marriage in the Entertainment World, October 1, 2004, Pages 50-51. 3) Whitburn, Joel, Top Pop Singles 1955-2002, Page 242. 5) Ragogna, Mike, From Whisky A Go Go to the Royal Studios: Conversations with Johnny Rivers, December 31, 2013, Link. 6) Hartman, Kent, The Wrecking Crew, Page 329. 8) Yorkey, Mike, Page 58. 9) Whitburn, Joel, Top Pop Albums 1955-2002, Page 289. 10) Yorkey, Mike, Page 84. 11) James, Gary, classicbands.com The Fifth Dimension, Link. 12) Yorkey, Mike, Pages 93-94. 13) Yorkey, Mike, Pages 96-97. Photo courtesy of GAB Archive/Getty Images.